This is a sponsored conversation written by me on behalf of Clarins. The opinions and text are all mine. My skin goes through a dry, dull spell every winter and all I can say is that it needs some major help in the hydration department. 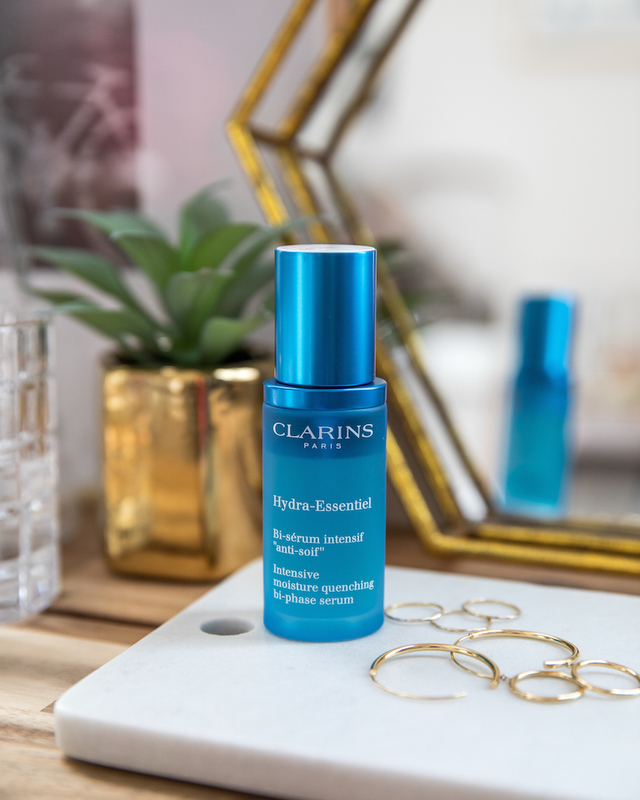 Today I’m sharing Clarins Hydra-Essentiel Bi-Phase Serum that is my new go-to daily skincare obsession helping my skin become hydrated and radiant again. Clarins Hydra-Essentiel Bi-Phase Serum helps those concerned with dehydrated, dry, dull skin. The two key ingredients consist of the “Leaf of Life” (Kalanchoe Pinnata) that naturally encourages more hydrated skin along with Beautyberry which acts as an anti-inflammatory. 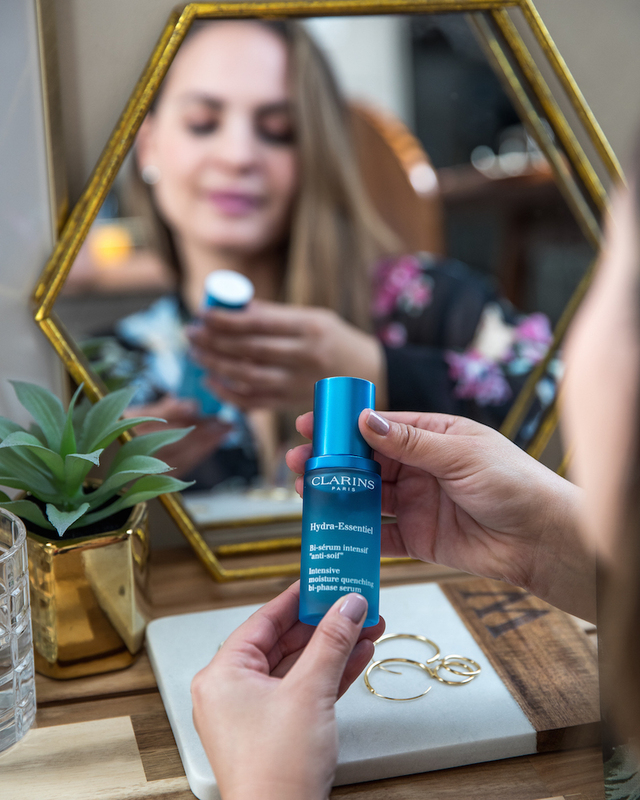 The serum enriches the skin from the inside out and helps your normal skincare work more effectively in the long run by penetrating beyond skin's surface. 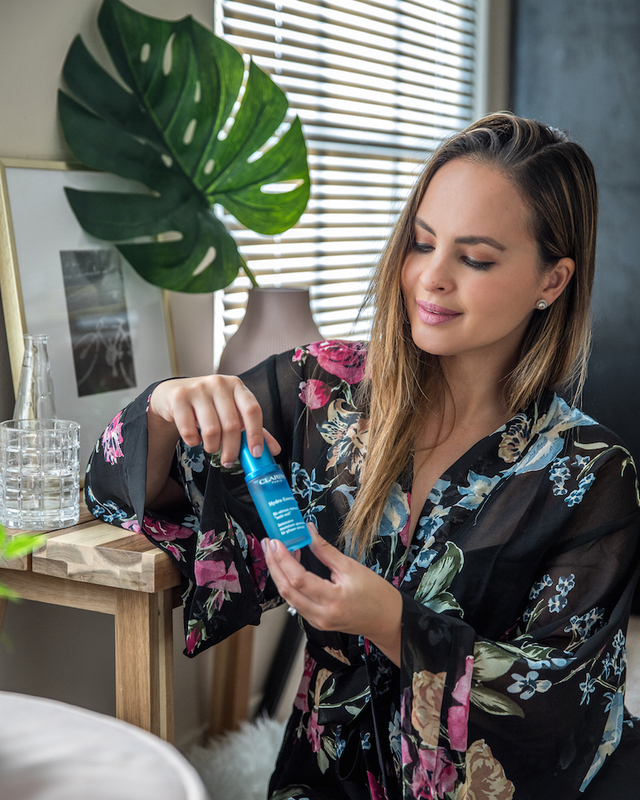 I use the serum every morning and evening after thoroughly cleansing my skin followed by a facial moisturizer to make sure my skin is taking full advantage of the benefits. Serums penetrate deep into your skin, while moisturizer sits closer to the surface to protect against environmental aggressors. When used together, they protect and nourish your skin at every layer for a more effective skincare routine. I apply a small amount into the palm of my hand then warm between my hands before gently pressing into my skin on my face and neck. Radiant, hydrated and glowing skin! My experience with Clarins Hydra-Essentiel Bi-Phase Serum has been nothing short of amazing. From the moment I opened the product and felt the gentle serum on my skin, I was in heaven. After just a few tries, I noticed how plump, revived and moisturized my skin felt. For best results, the serum must be used consistently morning and evening for 28 days. The more you stick with it, the more you’ll notice the improvements. 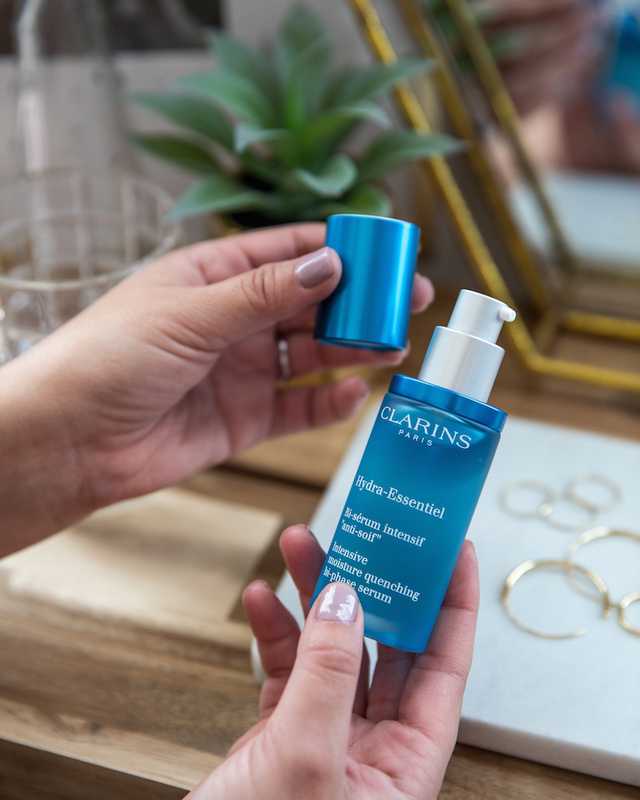 I'm finally feeling brave enough to leave the house without makeup on with my improved radiant skin thanks to Clarins Hydra-Essentiel Bi-Phase Serum. 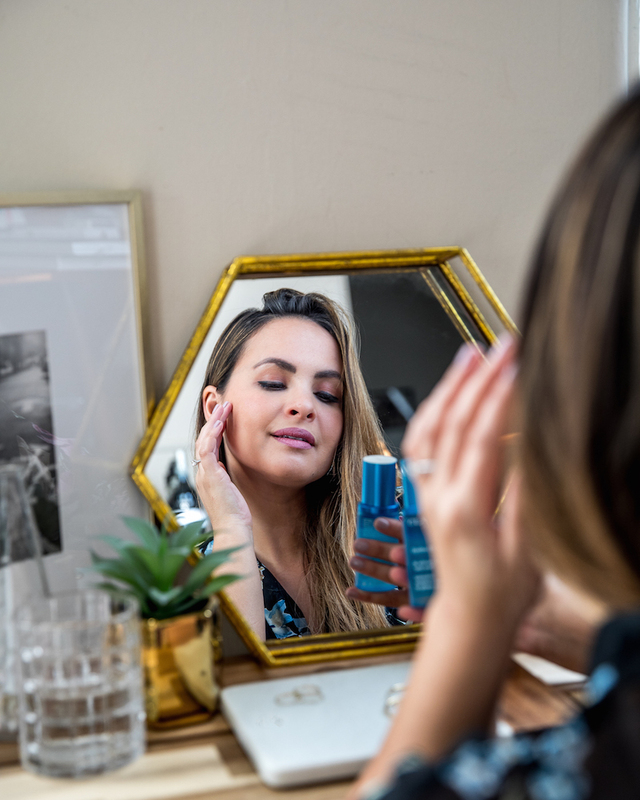 Whether you’re looking to minimize pores, diminish dark spots, defeat fine lines or reclaim your glow like me, it’s time to make serum a staple in your skincare routine. 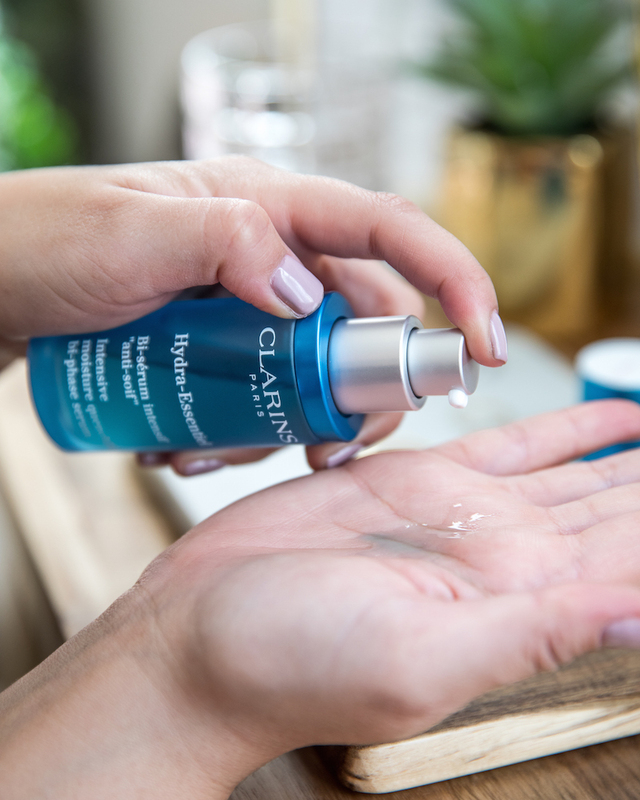 Find your perfect serum match today at www.clarinsusa.com. I have never tried any products from Clarins, thank you for the review! Thank you for sharing such a informative post with us, Delimapoker it will beneficial for everyone, Twinpoker88 It is one of the best sites that I have visited. Papadomino I am looking forward to read more blogs post from here, Amazing article thanks for sharing. Kapaldomino .I like your opinion. DewacintaQQ your opinion is really too good. i like this page and post. Haloqq thanks for share such a great opinion. Amazing article thanks for sharing.. Link Alternatif Kapaldomino I like your opinion. your opinion is really too good. Link Alternatif Dewacintaqq i like this page and post. Link Alternatif Domino Halo thanks for share such a great opinion. Link Alternatif Dewacintaqq ..